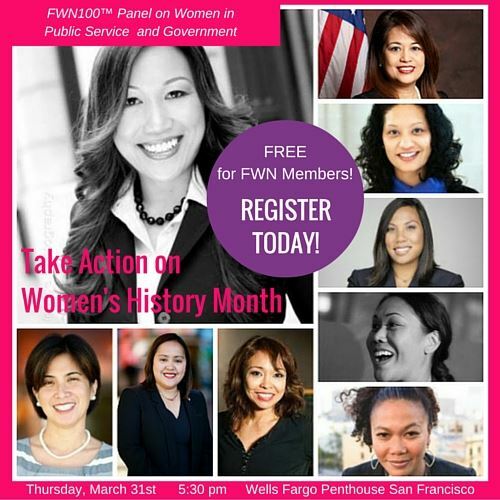 Become a FWN member and attend the #FilipinaWomenTakeAction Women's History Month event for free. Wells Fargo Penthouse is a secure location. RSVP Required to be included in guest list. No registrations at-the-door. Join us in celebrating Women's History Month on Thursday, March 31st in San Francisco's Wells Fargo Penthouse. Limited Seating Available. RSVP NOW! This is a FWN Members Only event. This event is FREE for FWN Members. Join FWN and attend the event for free!